You buy freshly roasted beans from your local coffee shop and invested in a fancy Chemex pour-over brewer. Like everything else you whip up in the kitchen, high-quality ingredients yield the best results (and you really love coffee, dammit). But after chatting with Selina Viguera, barista and café leader at Blue Bottle Coffee in Los Angeles, we realized that the water you use to brew your coffee is just as important as the beans (and we’re not simply talking about temperature). 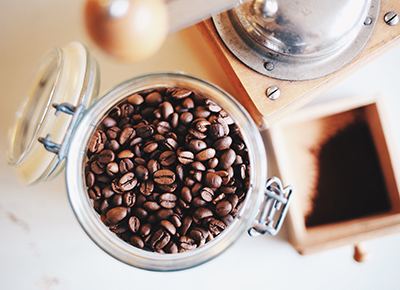 Viguera pointed out that water makes up more than 98 percent of a cup of coffee, so its impact on flavor shouldn’t come as a surprise (whoops). Instead of filling your coffee maker (all right, pour-over) with tap water, bust out your Brita filter next time. Filtered water tastes purer, but it also makes sure your H20 contains just the right balance of minerality and pH.